Our home is a comfortable 3 bedroom, 2 bathroom, 3 living areas, kitchen and laundry. There is an undercover BBQ area. We have a small friendly dog (who thinks she's human), a cat (who knows he isn't and rules the roost) and three fish. There is a pet door which the cat and dog both use therefore no litter trays to clean. We are close to public transport, a small shopping centre and a pretty little lake. Being located in the South Eastern suburbs of Melbourne and close to the Freeway we are within an easy drive of the CBD, Mornington Peninsular, Dandenong Ranges and Phillip Island. 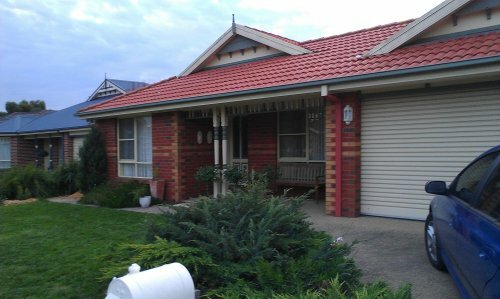 Close to a shopping centre, Train station, bus transport and Freeway into Melbourne. We are a couple in our 60's still working and will look after your home as if it is our own. We have 1 dogs, 1 cat and some fish all of which are spoilt and can care for your pets.